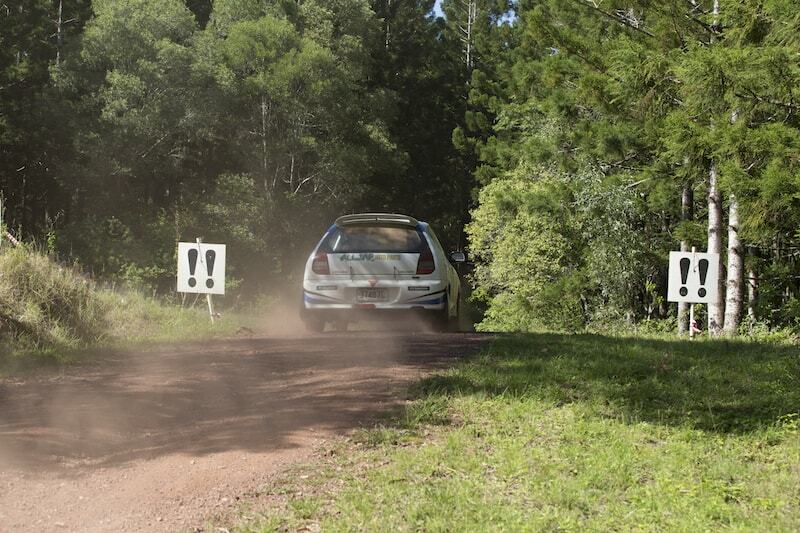 The third and final round of the KCF Rallysport Short Course Rally Series was held on Saturday in Imbil, Queensland. A strong field of 28 teams from southeast and central Queensland started the event on a very hot October day. It was a pace noted competition running three passes over two 10km stages. The forestry roads selected for the event were a balanced mix of fast and smooth combined with twisty and challenging keeping all competitors happy. The outright rally placings for the top three was also the Four Wheel Drive class placings. 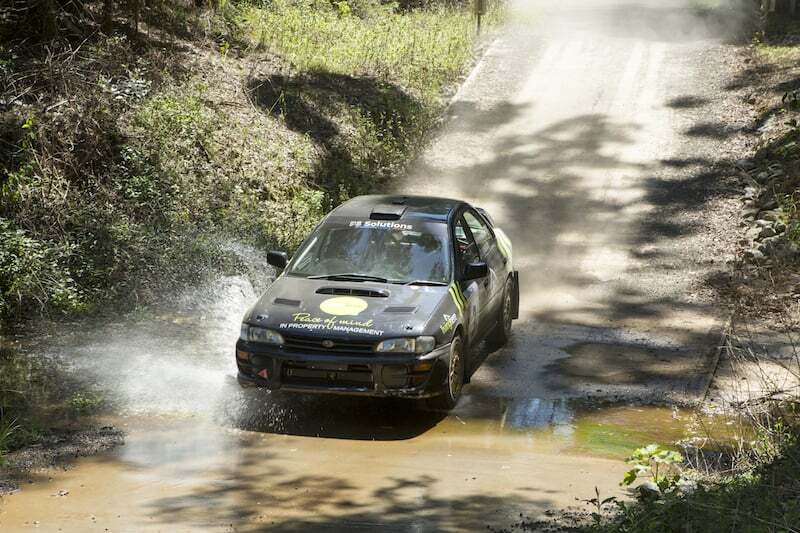 Winning the Short Course Rally was Erik Johnsson and Matt Van Tuinen in their 2003 Subaru WRX Sti. They set four fastest stage times for the day. Setting the other two fastest stage times and having an epic battle with Johnsson/Van Tuinen was Paul Bergmann and Larisa Biggar in their 1992 Subaru Legacy. 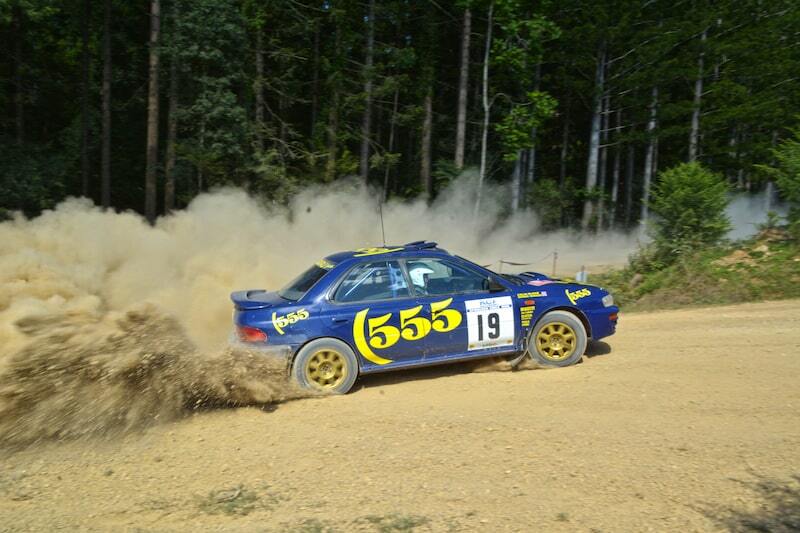 Third place was Gerard McConkey and Ian Swinbourne in a 1999 Subaru WRX. It was a solid dice for position between the three place getters. After the first loop of two stages only 3s separated the top 3, 12m26s Bergmann/Biggar, 12m27s Johnsson/Van Tuinen and 12m29s McConkey/Swinbourne. Johnsson/Van Tuinen suffering a deflating tyre near the end of the stage. After the second loop it was a tie for first between Bergmann/Biggar and Johnsson/Van Tuinen with McConkey/Swinbourne only 22s behind. For the final loop, Johnsson/Van Tuinen pulled out something extra out of the bag to finish 10s in front of Bergmann/Biggar and 34s ahead of third place McConkey/Swinbourne. The fastest Front Wheel Drive was the Kilbride Family Team in their 1986 Toyota Corolla AE111 Levin steered by Jeff Kilbride with daughter Holly calling the notes. The Kilbrides finished fastest in every stage for their class despite having an exhaust fall off mid stage. 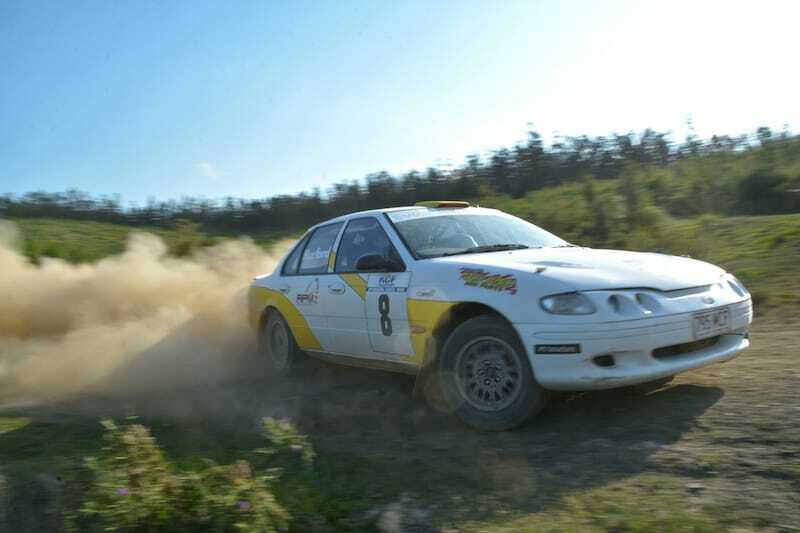 Second Front Wheel Drive was the Huxton Motorsport Team (another family team) in their 1996 Mitsubishi Mirage. Rodney Reid was driving with son Nick co-driving, convincing mum Belinda to relinquish her seat for his first rally. Third Front Wheel Drive was young gun Ryan Williams in “Lucky” the 1998 Hyundai Excel and another Kilbride family member Meeka calling the notes. In the Rear Wheel Drive classes in was still a family affair. First was Brad Hurford and daughter Rachel in their ‘built for big skids’ 1995 Ford Faclon XR6. RWD winners, Brad and Rachel Hurford. Photo: Scott Coleman. Also showing spectators how to have fun in a big car was second in class, Jamie and Michelle Lawson in their 1992 Holden Commodore VS Ute. Third for Rear Wheel Drive was Dave Feron and Catriona Kelly in their faithful 1981 Datsun 160J. This event now concludes the three event series for 2018. Ben Crisp and Brad Jones in action. Photo: Scott Coleman.